Just like the current political situation has left many of us, and I would suggest, the entire country reeling in confusion and chaos, so, too, gun policy has done the same. The gun lobby is set to overturn just about anything that makes common sense when it comes to gun policy. A bill which passed through both houses of Congress and set to be signed by our current President, undid something our last President did to try to stem the tide of gun violence. President Obama’s executive order was meant to keep people with very serious mental health disabilities from being able to legally purchase guns by placing their names on the list of prohibited purchasers in the National Instant Check System. It was not meant as an evil attempt to confiscate guns or take away anyone’s rights to own guns who should be responsible with guns. I have felt this discomfort listening to the recent public debate about the Social Security Administration (SSA) rule that prohibited those with a mental health disability and an appointed representative payee from purchasing or possessing firearms. The policy, which Congress recently voted to repeal, was the Obama administration’s effort to keep guns out of the hands of dangerous people. President Obama deserves a lot of credit for doing everything in his power to reduce America’s gun violence epidemic. Unfortunately, by focusing the prohibition directly on a mental health disability, the rule furthered the mistaken belief that mental illness is a major cause of violence. (…) I have felt this discomfort listening to the recent public debate about the Social Security Administration (SSA) rule that prohibited those with a mental health disability and an appointed representative payee from purchasing or possessing firearms. The policy, which Congress recently voted to repeal, was the Obama administration’s effort to keep guns out of the hands of dangerous people. President Obama deserves a lot of credit for doing everything in his power to reduce America’s gun violence epidemic. Unfortunately, by focusing the prohibition directly on a mental health disability, the rule furthered the mistaken belief that mental illness is a major cause of violence. Senator Charles Grassley, Republican of Iowa, envisioned people with “an eating disorder” being barred from buying a gun. To the contrary, the rule was focused narrowly on disabled individuals who require a trustee for personal management. They would have had the right to appeal. Senator Grassley himself noted last year the flaws in the background check database when he proposed greater cooperation among federal agencies with relevant information. “The Republicans are so hypocritical on this issue,” said Senator Christopher Murphy, Democrat of Connecticut. He has fought for both stronger gun controls and better mental health care in the aftermath of the 2012 school massacre in Newtown, Conn. A mentally troubled individual used a legally purchased assault weapon and shot to death 20 children and six school workers. The disability rule was a response to that tragedy after Congress refused to tighten gun safety laws. And so, this provision, though not perfect, was centered on the concerns that some people are, indeed, potentially dangerous to themselves or others. There are ways to deal with this conundrum and public health and safety concern without throwing the proverbial baby out with the bath water. Horwitz suggests Gun Violence Restraining Orders or, in Minnesota, a proposed Gun Violence Protection Order bill, to deal with concerns that family members have about a loved one who could become dangerous if they have access to a firearm. 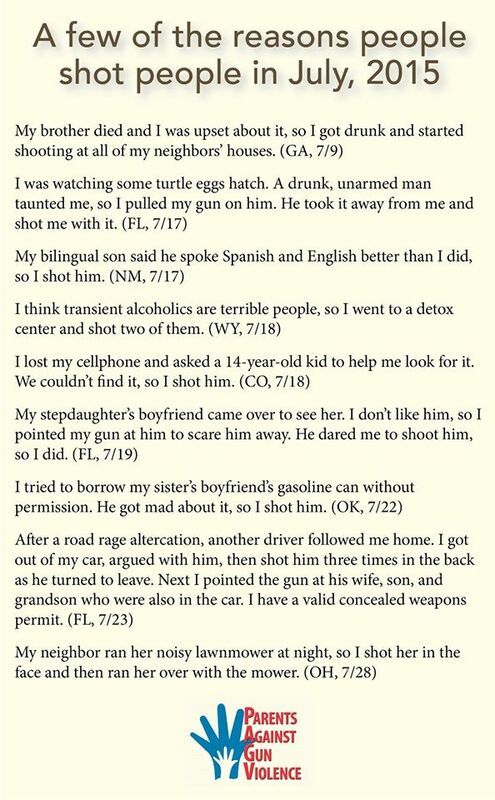 Prohibitions on gun ownership are critically important. The United States’ gun laws include far too many loopholes that allow dangerous people to do harm. But the laws we support should be based on research and focused on dangerous behavior – not genetics, not diagnoses. If we want our movement to succeed, a data-driven strategy is the only way forward. Yes. We have work to do. It does not have be either/or. It should be a rational discussion about how we can save lives and protect families and communities from insidious gun violence that takes the lives of 33,000 of us- most due to suicide. All of this is the opening salvo in what will surely be attempts by the corporate gun lobby to weaken gun laws in the states and through federal legislation. We will not be safer as a result. And that is why we need to recognize the risk of guns in the home and guns in the hands of people who could become dangerous to themselves or others. So the other side of this week’s gun policy was a Florida court decision that overturned a previous Florida court decision that allowed the bill, nicknamed “Docs vs. Glocks”, to stop physicians and healthcare providers from talking to patients about the risks of guns to their families. Just as physicians, physician assistants, nurses ask questions about whether we feel safe in our homes when going for our annual physicals, they should be able to ask about guns. They ask about smoking, alcohol use, bike helmets, stored poisons, seat belts, child car seats, and many other things that could cause harm to our health or well being. Stop for a moment and consider that the Second Amendment injury here lies not in the possibility that a physician can do anything to take away anyone’s gun, but in the outside chance that she will use her knowledge of actual medical evidence to suggest that guns can kill people and her patient might listen to her. This is literally an argument for a constitutional right not to learn stuff from people who know stuff because you might then feel bad about the stuff you own. 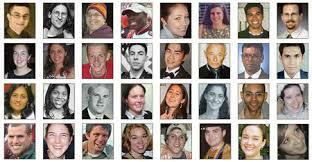 It is a fact that firearms injuries take the lives of almost as many, if not more of us than auto accidents. Domestic shootings take the lives of far too many (mostly) women. Gun suicides are a very real risk to families. So the recent ruling was a victory for common sense and first amendment rights of those who provide healthcare to practice their profession as they were taught and as they are charged to do by their Hippocratic Oath. Lawyers for the Brady Center were involved in this case and did a great job of defending the rights of professionals to do their jobs and to keep us safe from devastating gun violence. More toddlers have shot Americans than terrorists. Isn’t this a national public health and safety epidemic? Is there any rational reason to keep this from happening however we can? Today, in a landmark decision with national repercussions, a federal appeals court struck down an NRA-backed Florida law that restricted doctors from talking to their patients about the risks of guns. The decision by the full panel of the United States Court of Appeals for the 11th Circuit in Atlanta is a victory for the Brady Center to Prevent Gun Violence and Ropes & Gray, who brought the lawsuit on behalf of doctors who believed the law violated their First Amendment rights. Wollschlaeger v. Scott was filed on June 6, 2011, challenging the Florida law, under which doctors can be censored, fined, and have their licenses to practice medicine revoked if the Florida Board of Medicine found they violated the law. The lawsuit was brought by the Brady Center to Prevent Gun Violence, the firms law Ropes & Gray LLP and Astigarraga Davis, on behalf of individual Florida doctors, as well as organizations representing 11,000 Florida health care providers, including the Florida Pediatric Society/Florida Chapter of the American Academy of Pediatrics, the American Academy of Family Physicians, Florida Chapter, and the American College of Physicians, Florida Chapter. Douglas Hallward-Driemeier of Ropes and Gray argued the case as lead counsel for the Plaintiffs. In 2012, a trial judge in the Southern District of Florida held that the law was unconstitutional and granted a preliminary injunction. In 2014 a divided three judge panel of the 11th Circuit reversed. The full 11th Circuit heard the case en banc in 2016. Numerous studies have proven that a gun in the home actually makes its residents less safe — 89% of unintentional shooting deaths of children occur in the home. The reality is that a gun in the home is more likely to be used in a homicide, suicide, or accidental shooting, than in self-defense. Recent research has shown that one third of all households with children under the age of 18 have a firearm, and more than 40% of these households store their guns unlocked. So there we have it. The yin and yang of gun policy in America. I believe these opposing views of our world affect almost all of us. Who among us does not have a family member or a close friend who we feel could be, perhaps temporarily, potentially dangerous if they have access to a firearm? Who among us does not trust their physicians or healthcare providers to do what they were trained to do professionally to keep us healthy and safe? If you want to understand the wide ranging ripple effect of gun violence and the financial, emotional and physical toll it takes on individuals, families, communities and our health care system ( which costs us all financially) take a look at this amazing story of a man who received a face transplant at the Mayo Clinic in Rochester, Minnesota after attempting a gun suicide. Ironically his new face came from another young man who died from gunshot injuries in a gun suicide. This is an emotional story at the least…. the ripple effect of gun violence. There are no evil motives here. There are only sincere and fact-based attempts to prevent gun violence and the effects it has on our families and communities. But we have a world where it’s us vs. them with no common sense conversation or policy in the middle. We are talking about our families and our children and grandchildren. Let’s look at what the true interests are on both sides of this issue and come down on the side of public health and safety, not profits or power.